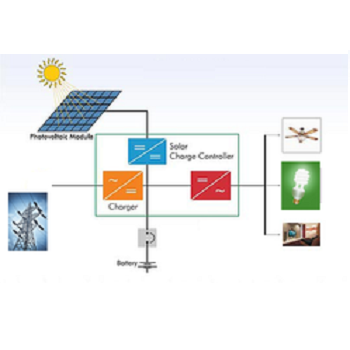 We are an acclaimed name affianced in offering our precious clients a superior quality range of Solar Lighting System. These lighting systems are designed keeping in mind the set industry standards and are manufactured by utilizing high grade raw material and cutting-edge technology under the supervision of our quality controllers. Marvel Energy Tech was established in the year 2009. We are manufacturer, supplier, exporter and service provider of MPPT Solar Charge Controller, Solar Charger, Solar Charger (Sol Maxp 30), Solar Inverter (2.5 Kva Dsp Sinewave), DSP Sinewave Solar Inverter (600 VA), Solar Modules, Solar Tubular Battery (Lpt 1220 L Luminous), Solar Batteries, Solar Stand Alone Systems, Solar Lighting System etc. These products are readily offered to clients in every part of India with complete assurance of high quality and optimum performance. Known for reliability and high standards, our products and services are widely acclaimed in national as well as international markets. Marvel Energy Tech is company based in Dharmapuri (Tamilnadu), India promoted by a team of highly successful technocrat entrepreneurs and management professionals dedicated to Innovation with strong linkages in the Industry, Corporate and Government . A Venture started by Shri K krishnamurthy a Veteran soldier and ardant Technocrat. He has more than 30 years of service in Power Sector. Working with the zeal to maximize clients satisfaction and meet demands of numerous clients, we have been able to carve a special position for ourselves in the market. Owing to the untiring efforts of our teammates and customer based policies, we have gained the trust of numerous patrons.